BA50. 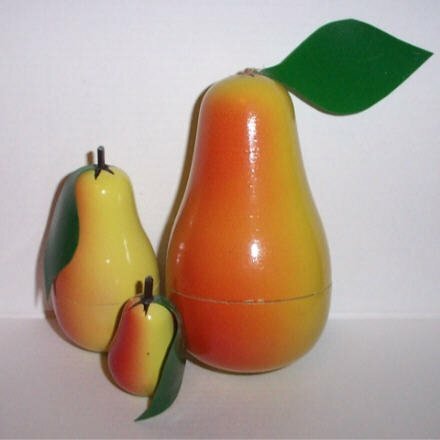 Poland Nesting pears - 3n 4"
This set of nesting pears was made in Poland and features three yellow/green pears accented with red tones. The realistic looking pears have plastic stems and leaves.